I was completely convinced that this was a baby pine tree. It looks like a little pine tree, and I find them growing down beneath pine trees all the time. Apparently I was wrong! 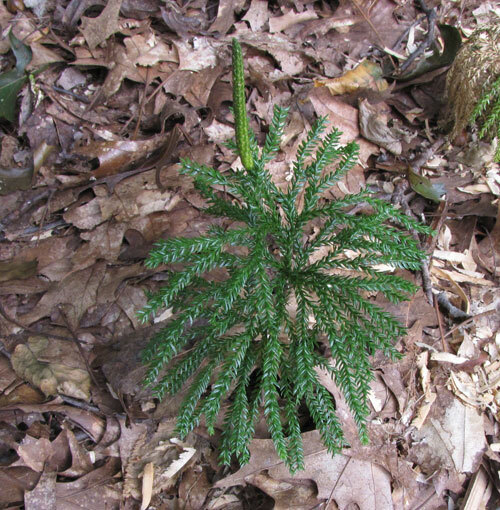 Apparently this is a little club moss - a Lycopodium obscurum. Technically it is a RARE club moss. It's also known as a "ground pine" because it looks like a tiny little pine tree. It grows pretty much everywhere east of the Mississippi River, as well as in Alaska.